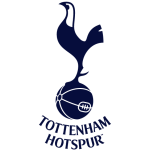 Borussia Dortmund vs Tottenham Hotspur predictions ahead of this clash in the Champions League on Tuesday night. Can Spurs see out this second leg trip to Germany? Read on for our match preview and free betting tips. At a crucial part of the season, things seem to be unravelling for both of these sides. Bundesliga leaders Borussia Dortmund were beaten on Friday, meaning that Bayern Munich are now level on points with them domestically. Meanwhile, one point in three Premier League games has ended any ambitions Spurs had of lifting the title. The only trophy they can possibly win is the Champions League, so there’s pressure on them to see out their 3-0 lead over Dortmund when the pair meet on Tuesday night. The hosts lost out at Augsburg at the weekend, which has left them marginally clear at the top. They have a crucial month ahead, before starting April with a clash against Bayern. Given the huge opportunity they have domestically this season, it might be in Dortmund’s best interests not to progress here. However, they come into this game aiming to turn around their heavy defeat at Wembley, although the history books aren’t exactly in their favour ahead of this clash. 100% of teams to have won 3-0 at home in the first leg of a Champions League knockout match have progressed to the next round (7 previous cases). That’s left Tottenham in a great position to go through, which would be their second appearance in the competition’s quarter-finals after 2010/11. That’s not the greatest pedigree for a side who see the European Cup as their last chance of silverware. However, the manner of their 3-0 win in the first leg showed what they are capable of on their day. The issue for Spurs here is that they have a poor record on the road in this competition. 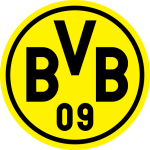 Their last away win in the Champions League came at Dortmund in November 2017, when they faced a very different BVB under Peter Bosz. That’s one of just two away wins for Spurs in nine games in this competition. Now they’re going up against a side who have won 83% of their home games in the Bundesliga, including all of their key clashes with their fellow top six teams. Spurs can’t exactly say the same. They have lost three of five trips to the top eight, which doesn’t include future clashes at Man City and Liverpool. They come into this game on the back of four straight defeats on the road, losing their hopes of winning three trophies in that run. They come here nervy, with something to protect. Dortmund should get forward as they look to get back into the game, so we’re backing the hosts to claim a second leg win here. Borussia Dortmund conceded more goals in the first leg against Tottenham (3) than they did in the entire group stages earlier this season (2). Tottenham secured their joint-biggest Champions League victory in the first leg against Borussia Dortmund, winning by a three-goal margin for the fifth time in the competition. Borussia Dortmund have lost 10 of their last 13 Champions League knockout games (W3), after losing only one of their previous 14 (W9 D4). 11 of Tottenham’s 12 goals in the Champions League this season have come in the second-half (92%). Tottenham have scored in each of their last 17 Champions League games, their longest run in the competition. They’ve also only ever lost one game in the Champions League (out of 31 played) by more than two clear goals, against Real Madrid at the Bernabeu in April 2011 (0-4). Borussia Dortmund’s attacking trio of Mario Götze, Jadon Sancho and Christian Pulisic only had one shot combined in the first leg against Tottenham. Raphael Guerreiro has scored four of Borussia Dortmund’s last five goals in the Champions League. Tottenham’s Son Heung-min has scored nine goals in 11 games in all competitions against Borussia Dortmund, more than he has against any other side in his senior club career.